United Federation Marine Lance Corporal Tamara Veal catches the attention of recruiters who nominate her to serve as a Single Combat Specialist. Gladiators, as they are better known, are genetically modified human champions who meet Klethos d'relle in the combat ring when the Klethos issue a challenge for a human world. Win, and the planet stays in human possession; lose, and not only do they lose their lives, but the world as well. With the Klethos much more advanced and powerful militarily, able to defeat humanity in an all-out war, the challenge ring is the only way to retain at least some of the worlds of man. While life as a gladiator is full of celebrity status and the gratitude of humanity, it comes with a heavy price. Not only is there the real risk of death in the ring, if a gladiator survives that, the Brick, or Boosted Regeneration Cancer, will claim her life within a few years. Lance Corporal Veal, who has found a home in the Marines, has to decide whether to accept the nomination. She would have to leave her brothers and sisters in the Corps, be assigned to the combined human gladiator course, and undergo extreme genetic modification that will leave her almost unrecognizable as the woman she was before. Becoming a gladiator will enable her to serve humanity to a far greater extent than anything else she could do as a Marine grunt, but at a tremendous personal cost. 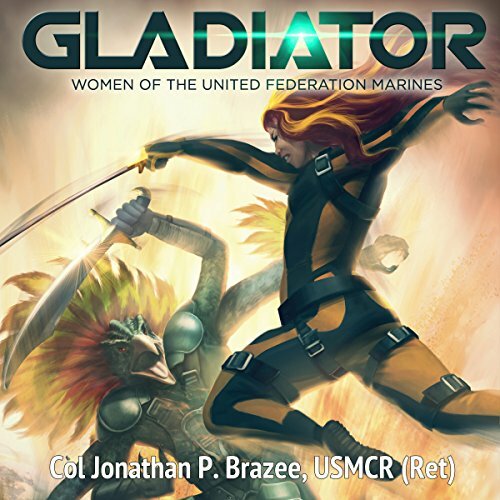 Author's note: For those listeners familiar with my other Marine-related books, this one is a little different in that there is far less combat action, particularly from a Marine unit standpoint. 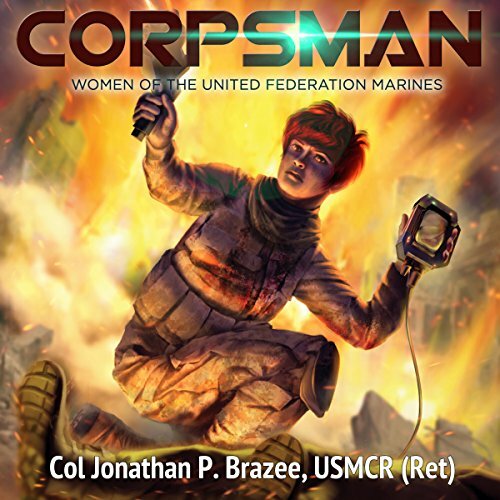 This novel, which is the first of three planned books that follow three different women serving as United Federation Marines or as a Navy corpsman, is more about duty, sacrifice, and what it means to serve in defense of others. 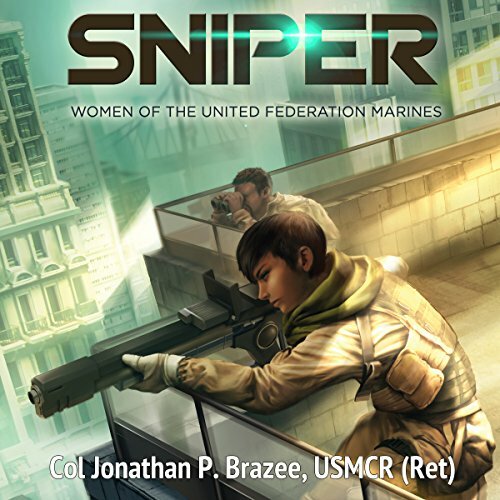 After a successful initial tour as a Marine rifleman, Lance Corporal Gracie Medicine Crow volunteers to become a scout-sniper, one of the deadliest - and most dangerous - military specialties in the United Federation Marine Corps. Gracie comes from the Apsáalooke Nation, a people with a long history of military tradition. Small in stature and considered stunningly beautiful, she is often underestimated, but that merely drives her to be the best sniper in the Corps. Nova Esperança offers no future for Liege Neves as a gangrat and daughter of the favelas. With one goal in mind - to save her younger sister and ailing grandfather from a difficult and hopeless future - Liege's only option is the Federation Navy. Scoring higher on her entrance exams than anyone had expected, Liege enlists as a corpsman and hopes for a safe career that will allow her to get her Avó the help he requires.